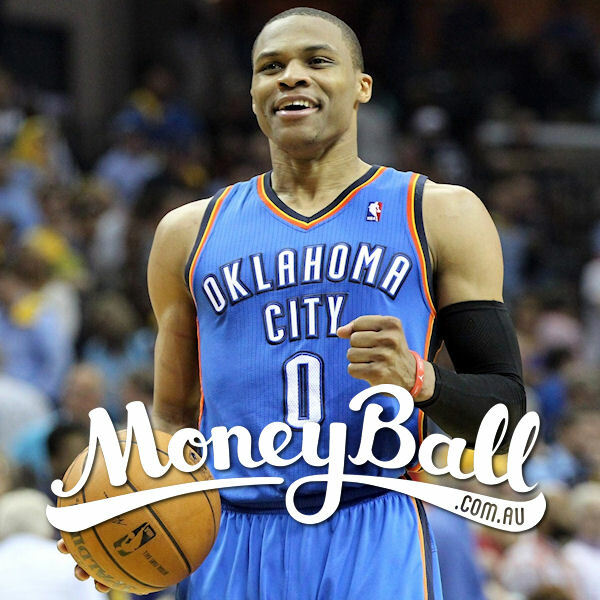 $4500 up for grabs in the NBA Saturday Bank. Get Pearcey’s tips. In what should be a very fast paced game look for Westbrook to dish out plenty of assists and score a lot of points. No one on the Jazz roster will be able to match up with Rubio and his crafty play. Archie will be too quick and athletic for Calderon and having to shoulder the bulk of the offensive load he should be a great value play. Harden will be hoping to have a big game against his former club and team mates. Hood has been on fire of late, scoring 30+ Fantasy Points in three of his past four games. Look for that to continue against the Wolves. In current form and at this price Bradley is providing too much value to pass up. Durant will be doing everything he can to make sure his old team mate James Harden doesn’t steal a win on the Thunder’s home court. Wiggins has been quiet lately but he has the ability to explode and will be a tough match-up for the Jazz wingmen. The injuries are mounting up in Dallas and Parsons has stepped up his game to keep the Mavs competitive. Fresh off another All-Star nod Bosh will dominate against the Bucks who are terrible at defending the Power Forward position. The Suns have been decimated by injury and Porzingis should benefit from the lack of Power Forward options. Smith has been rejuvenated since he returned to Houston and is putting up great value numbers on a nightly basis. Big Brook will be too much to handle for the Mavs who are likely to be without their starting Centre. Plumlee has a great match-up here against the Hornets and should be good to return 5x value. Will get plenty of court time due to some injury woes in Phoenix.